The White House said Wednesday that now is not the time for talks with North Korea, contradicting US Secretary of State Rex Tillerson’s offer a day earlier to begin talks with Pyongyang at any time and without preconditions. “Given North Korea’s most recent missile test, clearly right now is not the time,” a spokesperson for the White House National Security Council told Reuters and Yonhap News Agency. Tillerson said Tuesday that the US is “ready to talk anytime North Korea would like to talk,” and is willing to have the first meeting “without preconditions,” taking a step back from an earlier stance that Pyongyang must first commit to nuclear disarmament before any negotiations with Washington. For the talks to take place, North Korea must first refrain from further provocations and “take sincere and meaningful actions toward denuclearization,” he said. The US State Department said it remains “on the same page” as the White House. Tillerson’s offer for talks with the North came two weeks after Pyongyang fired an intercontinental ballistic missile potentially capable of carrying a warhead to Washington. China and Russia welcomed Tillerson’s proposal. Following his speech, China’s Foreign Ministry spokesman Lu Kang said that China welcomed efforts to ease tension and promote dialogue to resolve the North Korea standoff. Russia also welcomed Tillerson’s statement, Russian Deputy Foreign Minister Sergei Ryabkov was quoted as saying by the Interfax news agency. South Korea’s presidential office said Tillerson’s remarks reiterated Washington’s stance that North Korea must stop provocations and threats, and return to dialogue. “South Korea and the US have kept the door to dialogue open, and have urged the North on numerous occasions to return to talks. 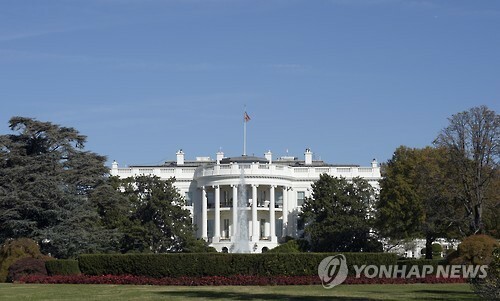 Seoul and Washington have discussed various measures regarding this,” Cheong Wa Dae spokesman Park Soo-hyun said in a statement Wednesday. Tillerson mentioned that senior officials of Washington and Beijing have held talks about how to safeguard North Korea’s nuclear arsenal in the event that the regime collapsed. A senior Cheong Wa Dae official accompanying President Moon Jae-in in his state visit to China told reporters that such discussions must have been held under previous administrations as well. “We still need to grasp the specifics of Secretary Tillerson’s remarks and what went on between China and the US,” he said.